This past weekend we celebrated my grandfathers birthday with a family lunch. I was on cake duty so turned to my trusty Pinterest friends for some inspiration. This was a new recipe for me and I'm pleased to say it was a smashing success. 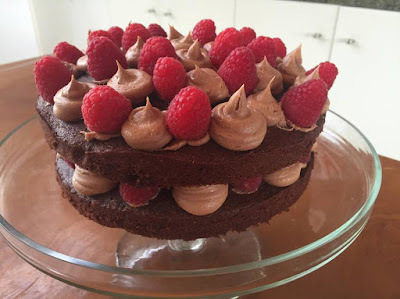 My cousin and I prepped the cake on Saturday and assembled it Sunday *The cake is quite dense so remains fresh until the following day #partywin Check out the recipe below and spoil your family this week! Sift together the flours. Use a large metal spoon to fold the flours into the butter mixture alternately with the cocoa mixture, in 2 batches each, until well combined. Divide the mixture equally between the 2 prepared pans. Smoothen the surface with the back of the spoon. Bake in preheated oven for 20-25 minutes or until a skewer inserted into the centre of the cake comes out clean. Stand for 30 minutes before turning out onto a wire rack to cool. 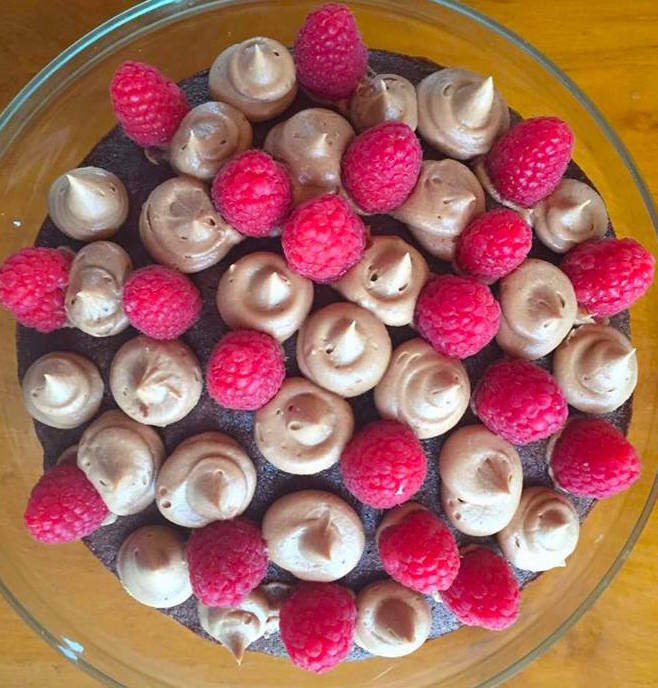 Once cake is cooled completely, frost with chocolate fudge frosting, either by spreading the frosting with a spoon or piping it onto the cake layers. Decorate with fresh raspberries.